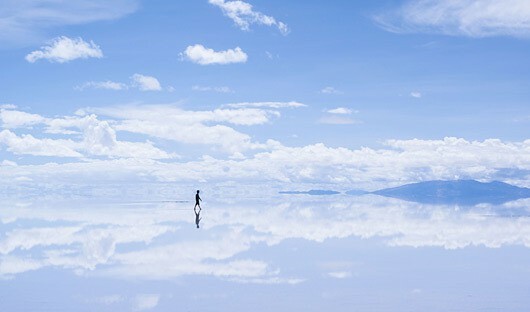 Get off the beaten track and explore the world’s largest salt flats, an amazing natural wonder stretching more than 10,000 sq. km across the altiplano between La Paz and Uyuni. Explore the village of Colchani and drive across salt flats to visit Isla Pescado (Fish Island), before travelling to Potosi and Sucre. 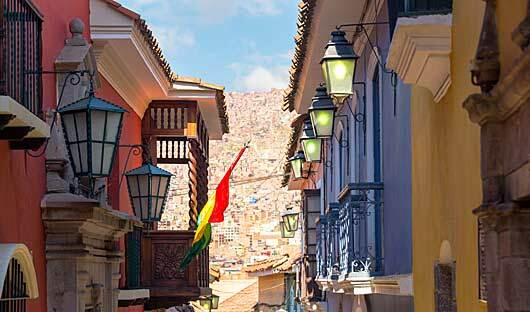 These two cities are fine reflections of Bolivia’s prosperous past. Relive centuries of Potosi’s history on a fascinating mine tour, learning of its importance as the main source of silver in the days of the Incas as well as those of the Spaniards. And enjoy wandering through the beautiful colonial streets of Sucre with its Spanish-style buildings of whitewash and terracotta roofs. You will be met at your hotel for transfer to the bus station for the journey from La Paz to Oruro travelling through the highlands and passing many Aymara communities along the way, some of them with beautiful churches. Oruro (3,704m) was once the main centre of tin production but due to the collapse of the mining industry the area has now been largely abandoned. Enjoy lunch in Oruro. In the afternoon transfer to the train station to board the very comfortable, modern train to Uyuni (323km – approx. 6-7 hours). The train has a dining car where you can have dinner and drinks. 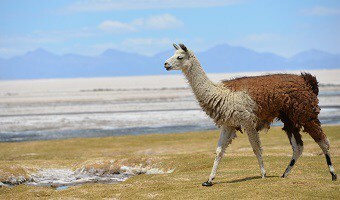 Once you arrive in Uyuni you will be met by a South America Travel Centre representative for the transfer to your hotel. Overnight at Los Jardines de Uyuni hotel or similar. Enjoy lunch served in the middle of the Salt Flats before returning to your hotel. 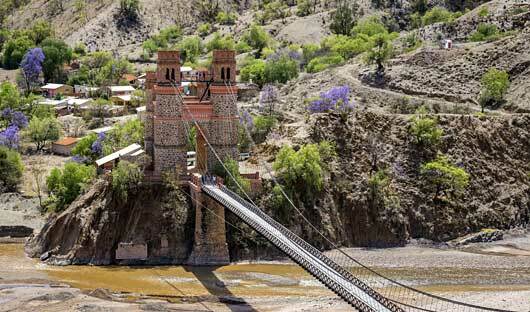 Depart your hotel this morning and drive to Potosi (4,070 m), passing by the Pulacayo tin mine along the way. Years ago this mine was one of the main focal points for the production of tin in Bolivia and was the centre of a strong mining workers’ union. Today it is in ruins due to the collapse of the industry. Continue across the highlands, passing through the villages of Chauquilla and Tika Tika, to finally arrive at your hotel in Potosi. 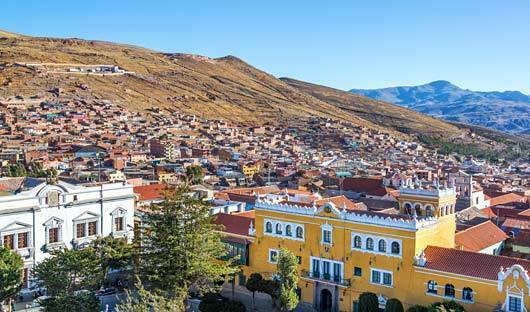 Renowned for its silver mine, Potosi was once the largest city in the Americas and reminders of its fabulous colonial past can still be seen. Pick up from your hotel this afternoon for a city tour which includes the famous Casa de la Moneda (the Mint House), the main square, traditional colonial streets and the artisan market. Also visit the San Francisco and San Lorenzo churches and see one of the greatest examples of stone carvings of the Baroque-Indian style. 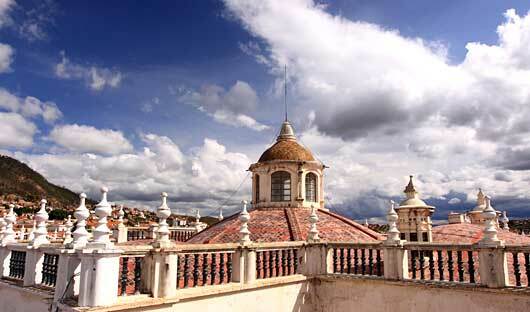 Also see the Santa Teresa Convent, founded in 1685 for Carmelite nuns. Depart your hotel in the morning to visit one of the local silver mines. The mines of Potosi were once the richest in the world and some are still being mined today, using the primitive methods of old. This excursion provides visitors with an unforgettable experience, taking them hundreds of metres underground to see the living and working conditions of the Bolivian miners. This afternoon you will head to Sucre. The contrast is spectacular as you descend 1,300m on the steep road called ‘Cuesta del Retiro’, from the highlands to the valleys of Chuquisaca and across the Pilcomayo River at Puente Mendez where you can still see the old bridge known as ‘Puente Arce’, to arrive at the enchanting city of Sucre (2,790 m). 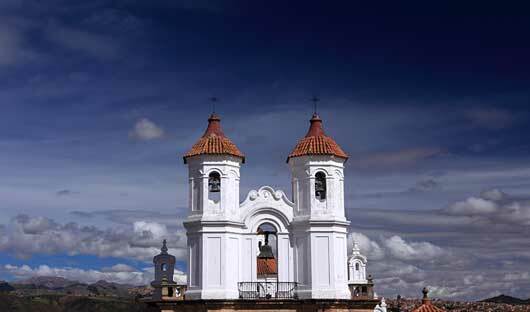 Sucre, the official capital of Bolivia, was founded by the Spanish in the first half of the 16th century. It still has many 16th century religious buildings, such as the churches of San Lazaro, San Francisco and Santo Domingo which offer well-preserved demonstrations of the architectural blending of local traditions with imported European styles. Sucre is often referred to as La Ciudad Blanca (White City) due to its distinctive architecture of white buildings with red tiled roofs. Long isolation has helped to preserve Sucre’s charm and local law now requires all buildings to be painted in the original colonial white. Sucre is home to the oldest university in the Republic of Bolivia and the sixth such institute founded in Spanish South America (in 1624). Depart this morning on a sightseeing tour of this fine colonial city. The tour includes the Casa de la Libertad, where the Act of Independence of Bolivia was signed in 1825; the 17th century, Bolivar Park with its small replicas of the Eiffel Tower and Arc de Triomphe; the church and museum of La Recoleta at Plaza Anzures – a good place from which to view the entire city; and finally the Indian Textile museum featuring beautiful weavings from the Tarabuco and Potolo cultures. Return to your hotel after the tour. The afternoon is free to further explore this attractive city. This morning transfer to the airport for your onward flight. This trip works well in conjunction with a tour in Chile or Peru. 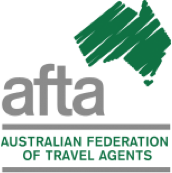 Contact our friendly travel consultants to put together the perfect tailor made itinerary for you. 1300 784 794 or email contact@satc.com.au.